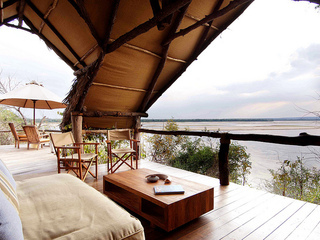 Sand Rivers is a sophisticated, high end camp located in the Selous area of Southern Tanzania. 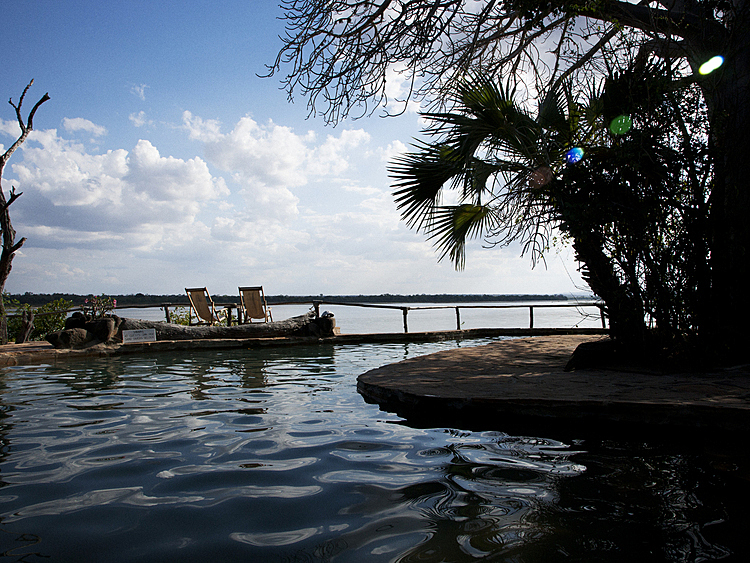 Enjoying a prime riverside setting, this comfortable lodge is in an ideal location to enjoy everything the Selous world heritage site game reserve has to offer. 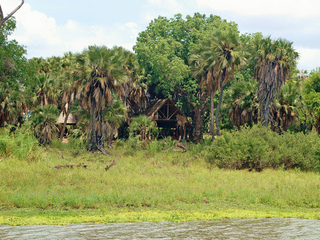 One of Selous’ unique attractions is its diverse habitats. 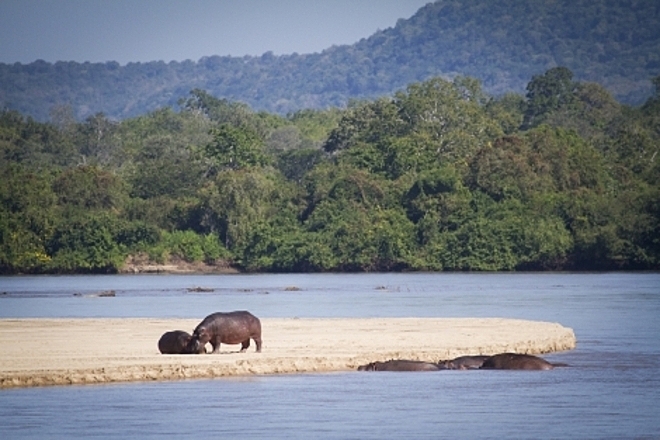 From open glades and woodlands to lakes and gorges, Selous has it all. 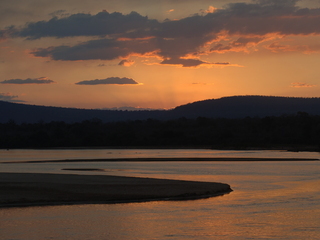 As a result, there is some spectacular scenery and a huge amount of game to be seen. 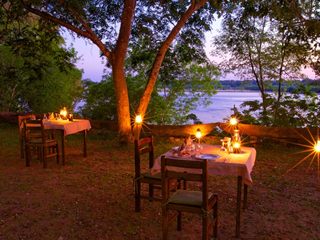 The lodge itself follows the curve of the Rufiji River and has an open air dining room, bar, lounge and swimming pool with sweeping views across the water. 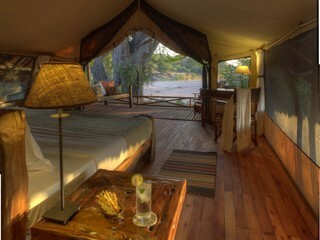 It is worth noting that down on the coastal plateau, the camp enjoys more of a tropical climate than you would find elsewhere in Eastern Africa with higher temperatures and humidity. 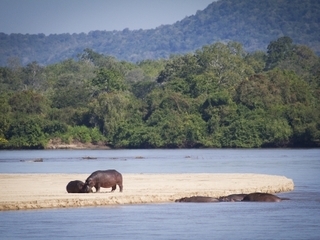 Activities are centred upon exploring this vast reserve at whatever pace you feel most comfortable. Vehicle, walking and motorboat safaris are all offered at Sand Rivers and Game to be seen includes elephants, lions, hunting dogs and leopards. 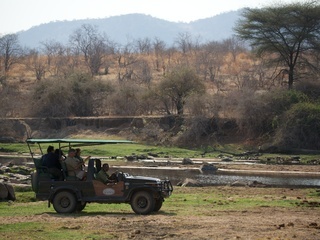 The main daytime activity is vehicle safari, with twice daily game drives being led by professional guides. 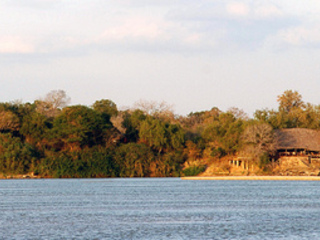 However, the motorboat safari is a highlight for many with crocodiles, hippos and often elephants occupying the riverbanks. Other activities include swimming in hot springs, fly camping under the stars and fishing. 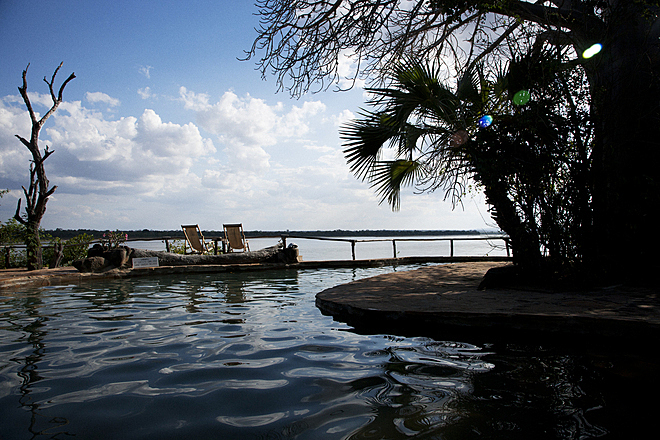 The accommodation is in eight open fronted, thatched cottages, all with panoramic views of the river. 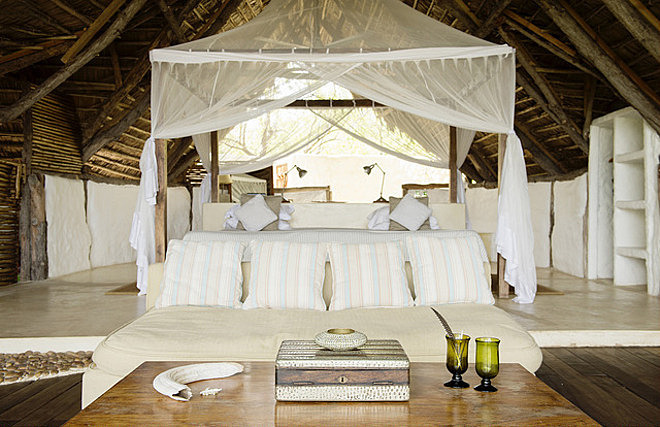 The rooms are light and airy and centre around an impressive bed. 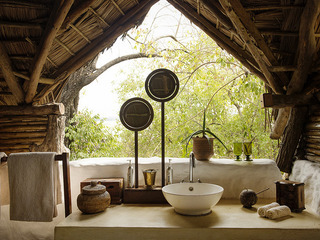 All the rooms have lovely verandahs and outdoor ensuite bathrooms with hot and cold running water and powerful showers. 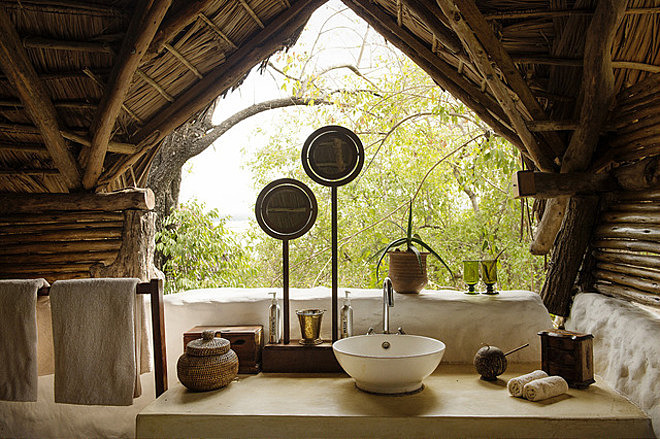 There are also three hillside suites that have the added luxuries of a large living space and private plunge pool. 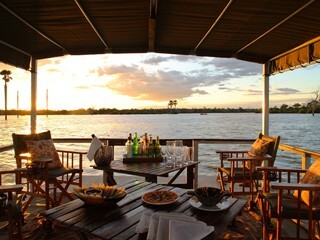 The unique feature of being open fronted brings nature to you and it is a wonderful experience to fall asleep to the sounds of the river and local wildlife. 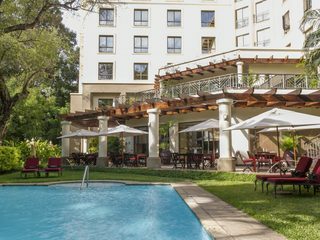 However, it is also worth noting that wildlife may also venture in occasionally so guests should be prepared for a complete outdoors experience. 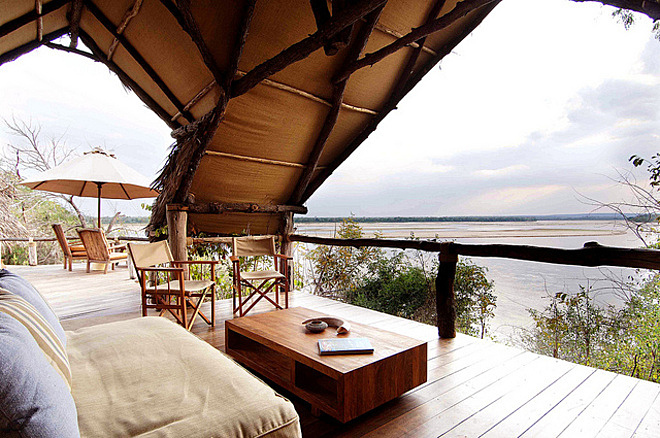 It also makes the accommodation less suitable for families hoping to bring younger children. 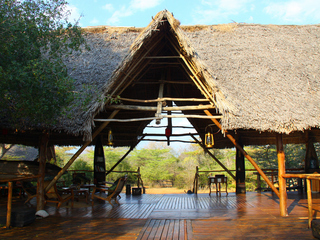 The camp welcomes children aged eight and over, however children must be over 12 to participate in the walking activities and fly camping. As a result, we tend to recommend this camp to families with older children in order for the whole family to enjoy the full experience. There are no specific childcare facilities on camp. 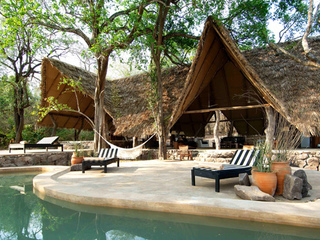 Families may also like to consider Kiba Point,a private lodge that sleeps up to eight people that is an annex property. 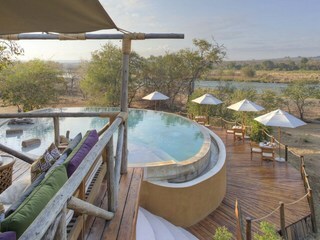 Sand Rivers is a lodge of a very high standard with great staff and in a prime location to explore Selous game reserve. 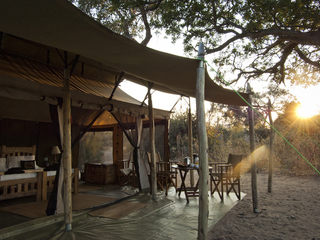 We would particularly recommend to couples or small groups of friends as more family friendly camps can be found elsewhere.